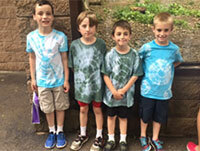 Bushkill Falls… PIE 2/3 students, teachers and chaperones visited Bushkill Falls on Thurs., June 8. The Pennsylvania Wildlife Exhibit, located at the entrance of Bushkill Falls, features fascinating displays about the area’s indigenous wildlife. 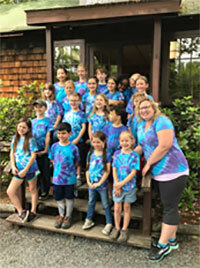 From the mighty black bear to the timid chipmunk, the exhibit was an outstanding place for the students to learn more about these creatures that are such an integral part of the Bushkill Falls natural environment. 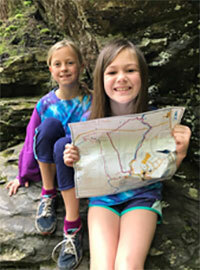 Students ventured onto the trails as a culminating activity to enhance their geography unit focusing on map skills. An official trail map has been developed just for this adventure. The map, which is especially detailed and accurate, includes 20 “control points” that can be found on the trails. When five, ten, or twenty locations have been found and verified with a unique punch of their cards by a park official, they become eligible for a monthly prize drawing from the falls. As a follow up , students will complete a nature journal with sketches documenting their trip. 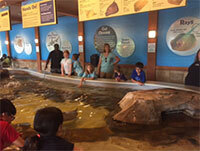 Turtle Back Zoo… Second Grade students enjoyed a beautiful and fun day at Turtle Back Zoo in West Orange, New Jersey. Turtle Back Zoo is committed to providing an enriching recreational experience that fosters excellence in wildlife education and wildlife conservation so that present and future generations are inspired to understand, appreciate, and protect the fragile interdependence of all living things. Aligning with the second grade curriculum, students explored different groups of animals, food, life cycles, and habitats. 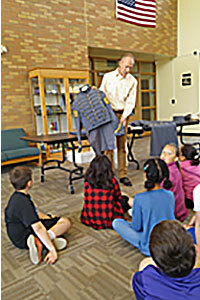 West Point Experience… Third grade students recently enjoyed the full West Point Experience, as former West Point cadet and parent Mr. Schlesinger visited the students to share some stories of his experience at West Point. 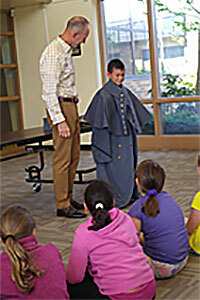 Mr. Schlesinger even brought his original dress uniform to show the students.